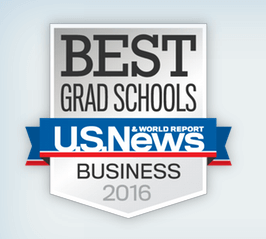 U.S. News & World Report today released the 2016 Best Graduate School rankings. As our friends at mbaMission have reminded us, all rankings should be approached with skepticism. “Fit” (be it academic, personal, or professional) is a far more important factor when choosing a school. See the full list and check out the rankings by MBA programs and specialties, here. Manhattan Prep is holding a two one-day auditions for new GMAT, GRE, and LSAT instructors in Dallas and Fort Worth! Come join us February 7th in Dallas or February 8th in Fort Worth at 10:00 AM and transform your passion for teaching into a lucrative and fulfilling part-time or full-time career. Manhattan Prep offers instructors flexible hours and great pay ($100/hour for all teaching and $116/hour on all tutoring). In addition to teaching classes, instructors can work on other projects such as curriculum development. Our regular instructor audition process, which includes a series of video, online, and in-person mock lessons, usually takes weeks, even months, to complete. However, we are offering one-day events on February 7th and on 8th for teachers interested in working with us. All candidates who attend will receive a decision that day. The events will take place in Dallas and Fort Worth at the locations listed below. It is open to candidates who live in the area, who have teaching experience, and who are GMAT, LSAT, or GRE experts. The audition will include several rounds of lessons, as well as other activities. Each round will be pass/ fail. The day will begin at 10 AM and may last as late as 5:30 PM for those who make it to the final round. Candidates will need to prepare lessons for some rounds; we will send a more detailed instruction packet to those who sign up for the event. To register, please email Rina at auditions@manhattanprep.com. Make sure to include in your full name, an attachment of your resume detailing your teaching experience, and an official GRE, GMAT, or LSAT score report. We look forward to meeting you in February! Last week, I attended the annual GMAT Summit, held by the fine folks at GMAC (who own / make the GMAT), and I have some interesting tidbits to share with you. You know what I’m going to say already, don’t you? The first 7 (or 10, or 5) questions are not worth more than the questions later in the exam. I’ve written about this topic before but I’m going to mention it once again because of something that happened at the conference. Fanmin Guo, Ph. D., Vice President of Psychometric Research at GMAC, was answering questions after a presentation on the test algorithm. A couple of people were peppering him with questions about this myth and apparently just didn’t seem to believe that it could possibly be true that the early questions aren’t worth more. One of the questioners also made a pretty significant faulty assumption in his arguments—and now I’m worried that an article is going to pop up trying to revive this debate. I don’t want any of my students led astray on this topic. First, to understand why the early questions actually aren’t worth any more than the later ones, see the article I linked a couple of paragraphs back. Dr. Guo was saying the first part: that the location of a question on the test doesn’t impact its weighting in the overall score. He and the other GMAC folks weren’t saying anything, though, about how you should take the test. In fact, it would be silly to spend exactly the same amount of time on every question. Some questions are harder than others. In addition, you have various strengths and weaknesses in terms of both accuracy and speed. There are, in fact, very good reasons not to spend the same amount of time on each question. All Dr. Guo was saying was that the location of the problem in the section is not one of those reasons. So, if you read something that says that you should spend more time on the earlier questions, roll your eyes and click away. Alternatively, if you read something that concludes that you should spend the same amount of time on every question, drop that source as well. Take a look at the data in my other article to see that GMAC actually does know what it’s doing and the GMAT is not just a test of how you perform on the first 7 or 10 questions. GMAC has been building more score reporting functionality into GMATPrep to give us a better idea of how we do when we take the official practice CATs. In fact, this capability has already launched! I need to go download the newest version of GMATPrep to see exactly what’s offered (and I’ll report back to you once I’ve done so), but they’ve started to offer data for sub-categories such as question type and content area. The following excerpt comes from Top GMAT Prep Courses, a helpful resource for comparing your GMAT prep options, gathering in-depth course reviews, and receiving exclusive discounts. Top GMAT Prep Courses had the chance to connect with Ron Purewal, one of Manhattan Prep’s veteran GMAT instructors, to ask questions about the GMAT that we hope all prospective MBA candidates will benefit from. Want more? Head on over to the full article! What are the most common misconceptions of the GMAT that you notice on a regular basis? “There are two BIG misconceptions in play here. The first is “knowledge.” Too many people view this test as a monumental task of memorization. A test of knowing stuff. If you’re new to this exam, it’s understandable that you might think this way. After all, that’s how tests have always worked at school, right? Right. And that’s exactly why the GMAT doesn’t work that way. Think about it for a sec: When it comes to those tests, the tests of knowing stuff, you already have 16 or more years of experience (and grades) under your belt. If the GMAT were yet another one of those tests, it would have no utility. It wouldn’t exist. Instead, the GMAT is precisely the opposite: It’s a test designed to be challenging, and to test skills relevant to business school, while requiring as little concrete knowledge as possible. If you’re skeptical, go work a few GMAT problems. Then, when the smoke clears, take an inventory of all the stuff you had to know to solve the problem, as opposed to the thought process itself. You’ll be surprised by how short the list is, and how elementary the things are. The challenge isn’t the “what;” it’s the “how.” …Continue reading for the second misconception. How common is it for a student to raise his or her GMAT score 100 points or more, and what is the largest GMAT score increase you’ve personally seen while working at Manhattan Prep? “We’ve seen such increases from many of our students. I’ve even seen a few increases of more than 300 points, from English learners who made parallel progress on the GMAT and in English itself. I don’t have statistics, but what I can give you is far more important: a list of traits that those successful students have in common. 1) They are flexible and willing to change. They do not cling stubbornly to “preferred” or “textbook” ways of solving problems; instead, they simply collect as many different strategies as possible. 2) They are resilient. When an approach fails, they don’t internalize it as “defeat,” and they don’t keep trying the same things over and over. They just dump the approach that isn’t working, and look for something different. If they come up empty, they simply disengage, guess, and move on. 3) They are balanced. They make time to engage with the GMAT, but they don’t subordinate their entire lives to it. They study three, four, five days a week—not zero, and not seven. They review problems when they’re actually primed to learn; they don’t put in hours just for the sake of putting in hours. If they’re overwhelmed, exhausted, or distressed, they’ll shut the books and hit them another day. In short, they stay sane… Continue reading for more traits of successful students. Studying for the GMAT? Take our free GMAT practice exam or sign up for a free GMAT trial class running all the time near you, or online. And, be sure to find us on Facebook and Google+,LinkedIn, and follow us on Twitter! Exciting news! GMAC (the owners of the GMAT) announced on Friday that, starting immediately, we’ll get our unofficial IR scores as soon as the test is over. They already do this for our Quant, Verbal, and Total scores, so IR will be added to the mix. As with the other scores, the IR score will be considered an “unofficial” score until you receive your official score report. You can consider these test-day scores essentially official, though, as it’s incredibly rare for something to change after that day. The folks over at GMAC are professionals; they’re not going to release scores if there’s even a small chance that something could change, upsetting students who thought they had earned a different score. Need to practice IR? Try our new free GMAT Interact lessons for Integrated Reasoning. Happy studying and good luck on test day! Friday Links: Harvard Business School, MBA For Entrepreneurship, & More! Rather, it’s never been more straightforward – for you and close to 10,000 other applicants who are likely to apply this year for one of 940 or so places in the Class of 2016. For those hoping to break into entrepreneurship, business school is an amazing path to do so because of its inherent opportunities. These private b-schools keep tuition and fees under $40,000 a year. For the last 12 years, HBS students, who take a class on literature and leadership, have been scanning the pages of books for lessons to help them tackle business’s most challenging dilemmas. 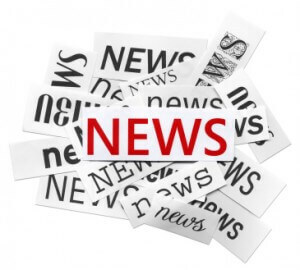 Friday Links: Online MBA Programs, The MBA Resume, & More! Traveling abroad can help online business students network and improve their resumes. In an application, a resume is more than a chronology of your academic and professional career. Whether an MBA is necessary to be an entrepreneur is the subject of lots of debate, but getting a master’s in business administration can be a huge help in getting your startup off the ground. Business-school applicants with high undergraduate grade point averages are more likely to be admitted than those who performed slightly less well but did so amid tougher grading standards. Former technical manager of engineering giant Metec WA shares why all engineers who want to be recognized as good managers should get an MBA. Friday Links: MBA App tips, HBS Admissions Process, and More! Test Study Guides shares their hand-picked list of the best GMAT prep books and explains why these are the most effective study guides for the test. You should view your MBA application as the admissions committees do: as a holistic package of documents that work together to provide a comprehensive and cohesive introduction to you. The student news organization at HBS has produced an unofficial admissions and interview guide, offering potential b-school candidates an advanced look at what types of questions they will get in their admissions interview. Find out which jobs offer a competitive salary and also have more flexibility in their work hours. Your LinkedIn profile should be the most-viewed and most current version of your professional life. That has many people asking: Do I even need an old-fashioned résumé anymore? Bain & Co., one of the most coveted MBA employers, may soon use scores on GMAT’s new Integrated Reasoning section to screen applicants for consulting jobs. Friday Links: Tips for Networking, Stress Management, GPA, and More! Networking events are awkward. And when you don’t go to them often, you might have no idea what to do or how to act. To get into a highly selective business school, is it better to have a higher grade point average from a school where grade inflation is the norm? Case studies, class projects, recruiting, clubs, travel… the life of an MBA student is enough to make otherwise levelheaded adults crack under the pressure. Don’t forget about personal branding, the most important way to proactively control your career development and how the market perceives you.